Agropoli confirms for the 2016 summer its Blue Flags for beaches and marinas. He was held this morning in Rome, at the headquarters of the CNR – National Research Centre for the traditional scope ceremony recognition by the FEE Italy. 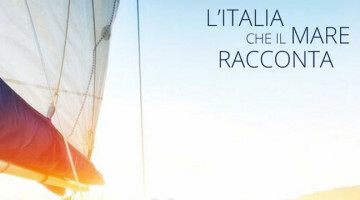 The blue flag will wave during the bathing season on the coast agropolese (Trentova and San Marco promenade) and the marina. 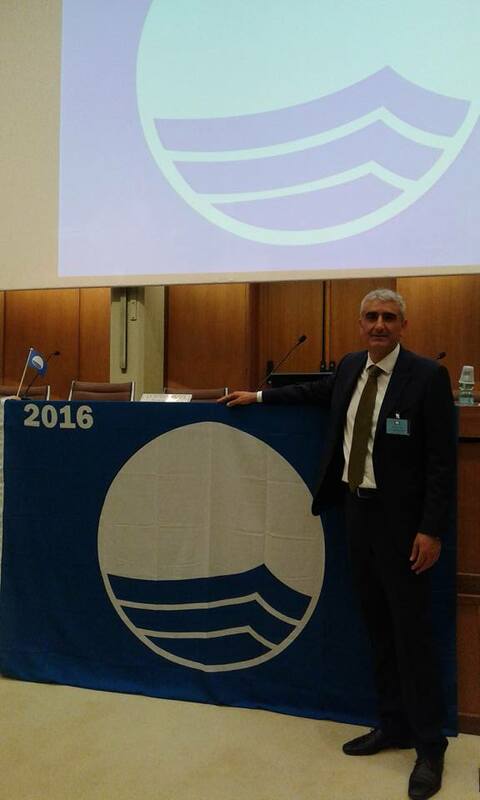 «We are delighted – said the mayor of Agropoli Franco Alfieri – The Blue Flag is not just a prize. It ‘a goal that requires compliance with stringent international standards in terms of sustainable tourism. This year the Cilento has made a full house of Blue Flags. And ‘the testimony that we live in an area that offers an unspoilt coastline and guarantees, thanks to the commitment of public and private operators administrators, excellent quality standards in the field of hospitality and tourism services. All the coastal resorts are to networking and synergy to ensure that the idea of ​​the brand “Cilento Coast Blue” launched a few years ago may finally become a value-added enhancement and promotion». 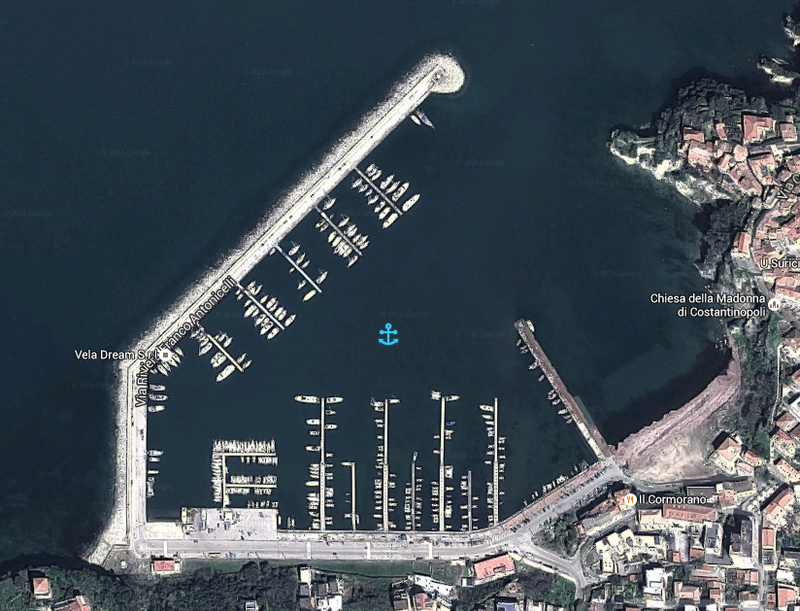 «Agropoli – says the commissioner to the port and government property, Massimo La Porta – once again won the Blue Flag, both to the beaches and in the marinas category with the port. It is an important recognition, because they do not accidentally get. La Fee, in fact, through an international commission, shall grant recognition to those who are in line with specific parameters that are not unique to the beaches and waters, through the assessment of a certification process, but a number of factors ranging from the services offered, the environmental policy and environmental education initiatives implemented throughout the year». 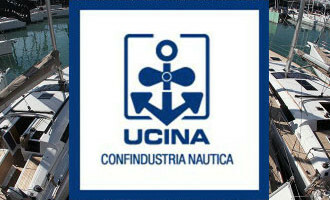 A new entry in the Cilento (San Mauro Cilento) and output (Sapri). 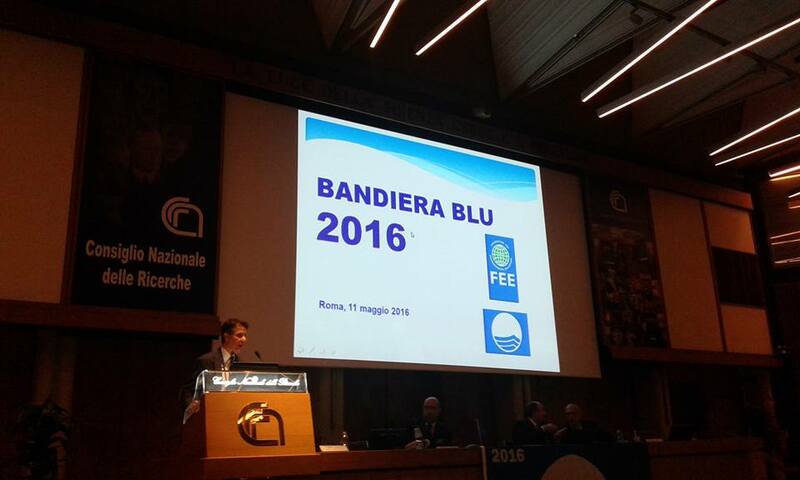 This morning (May 11) at the CNR meeting hall – the National Research Council was held the award ceremony of the 2016 Blue Flags by the FEE Italy. As is now known, the Blue Flag is an international award, established in 1987 the European Year of the Environment with the main objective to target the local management policy of several coastal resorts, towards an environmental sustainability process. They go up to 152 award-winning municipalities thanks to 12 new revenues, stable at 66 marinas. 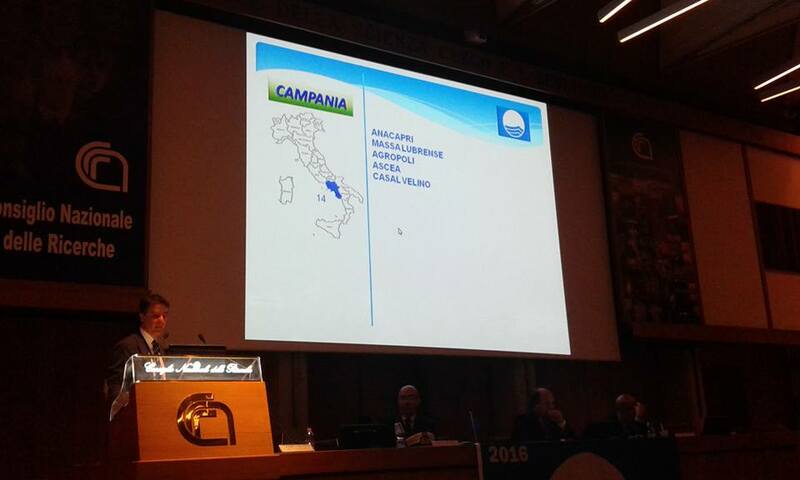 Liguria confirms first region, followed by Tuscany, Campania and Sardinia. 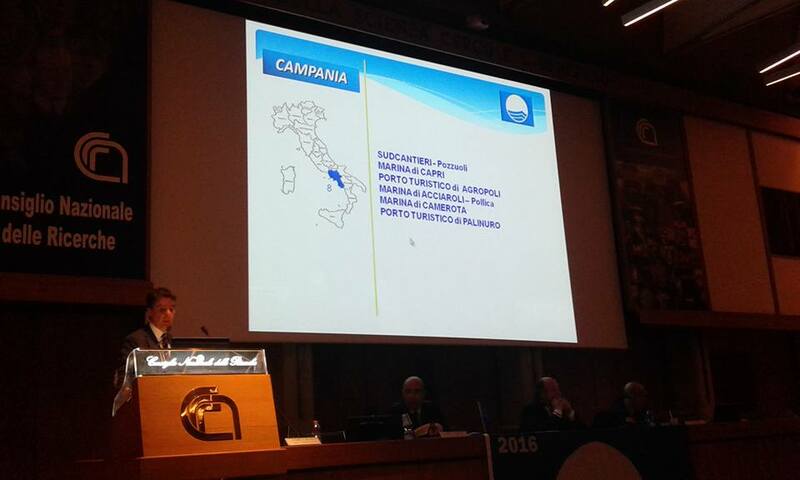 For the region, in fact, confirmed 14 Blue Flags with an input (San Mauro Cilento) and exclusion (Sapri). The Blue Flag will fly on almost all of the Cilento coast (11 confirmed blue flags) because, this year there was the awarding of the prestigious banner also to the municipality of San Mauro Cilento, new entry of 2016. 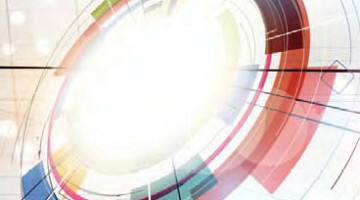 The award of the prestigious award, as evidenced by several years, has been an incentive and opportunity to engage the various municipal authorities to create synergies and enable unique initiatives for promoting tourism.